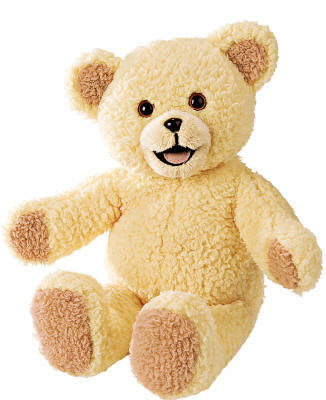 The Zeonic Geofront: A Third of (British) Adults still sleep with their Teddy Bears. A Third of (British) Adults still sleep with their Teddy Bears. A British survey of over 6,000 brits has found that almost a third of Adults still bring their teddy bears to bed with them every night. Most said it comforted them knowing it was there. It seems most respondances said it comforted and calmed them, and allowed them to get to sleep easier. Businessmen who carry a Teddy said that it reminded them of home. The Mail also reported that the Travelodge Hotel Chain, returned almost 75,000 lost teddy bears to their owners last year, and most were not children, but adults. The question I have is this some kind of cultural phenomenon? Are there really that many adults out there who were unable to lose the bear as they grew up? Common thought is that it's children grow out of their stuffy faze over time. As they become more confident they being loose the need to for an item to hold while sleeping. For myself this is how it worked. I was incredibly attached to my Bear and Blanket, but overtime I just stopped. Or did I? I think most adults end of attaching to something else. They don't really drop the Teddy they merely redirected those feeling towards something less childish. For myself I have a favorite pillow, and pillow cases.